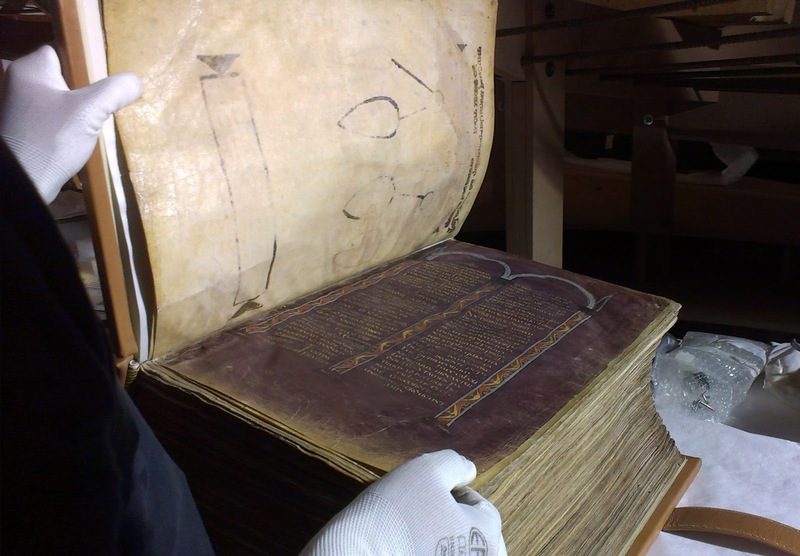 Codices of such an age are too precious to be put on display, but a facsimile will be displayed along with a digital copy, of which viewers can turn the pages themselves. 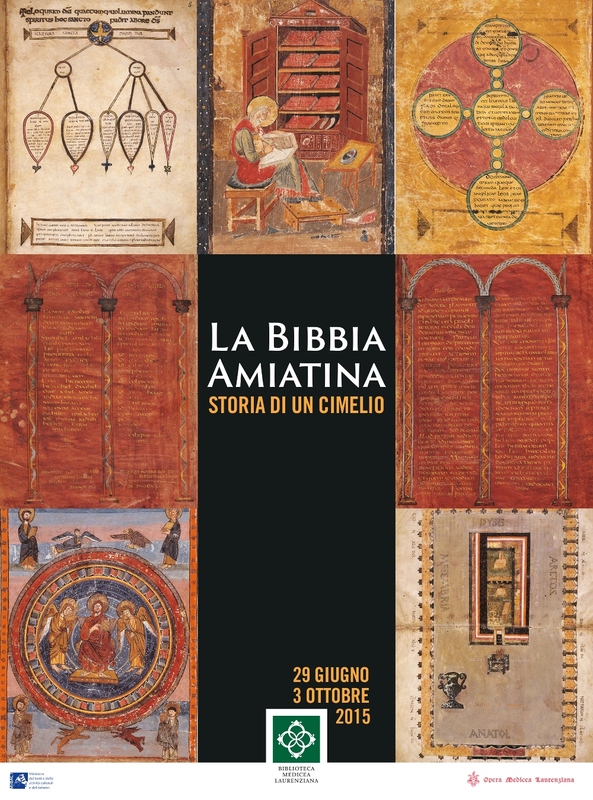 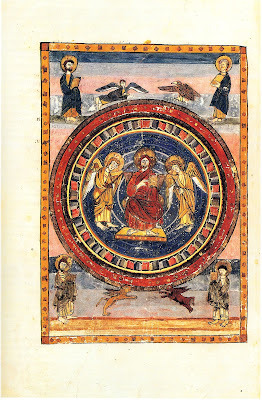 (I have seen a similar facsimile of the Codex Vaticanus, one of the oldest Greek Bibles in the world, and was assured by a very knowledgeable scholar that it a remarkably accurate reproduction.) 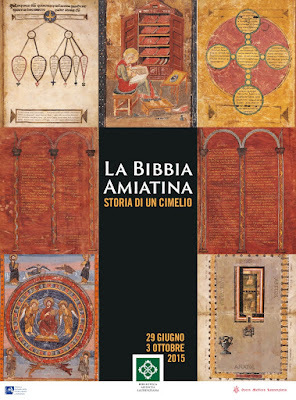 The show will also include the originals of 7 very early printed Bibles of particular rarity. 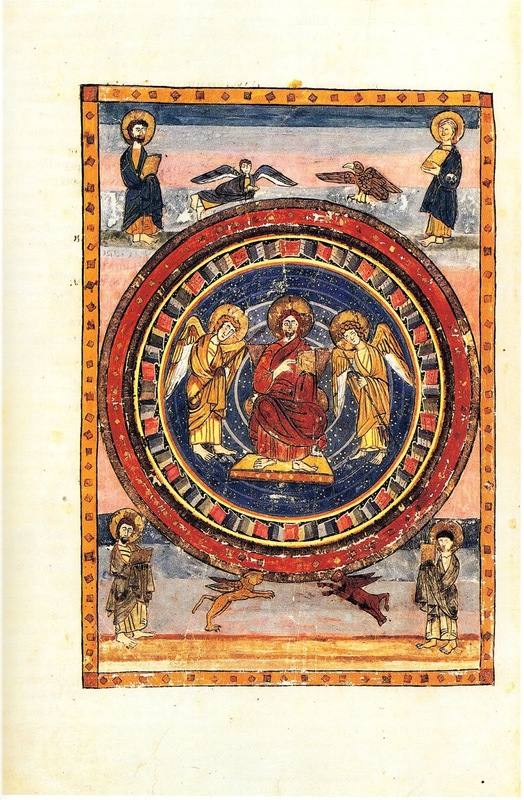 One of the illustrated pages of the Codex Amiatinus, showing Christ in majesty, surrounded by the symbols of the Four Evangelists.